Check out our essay writing service features! You can always be guaranteed that your custom academic paper will not only be delivered on time but will also be of very high quality! We write all papers original from scratch. 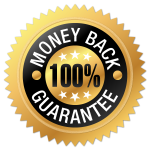 100% Plagiarism-free guarantee. Each custom written assignment is unique and has no plagiarism at all. Every essay is checked for any instances of similarity at all stages of your order to make sure you receive the final product exactly as you specified it initially. Here at VersatileWriters high-quality custom papers is our motto. More than 1000 satisfied customers chose and are still using our essay writing help services and we never let them down. Satisfaction is guaranteed with each and every single completed custom essay. You will not be disappointed. We guarantee on-time delivery for every assignment offered to us. With versatilewriters Forget about missing the deadline for submitting the paper. No late submissions will be experienced while working with us. Most assignments will be delivered prior to the deadline. We care about your confidentiality. We advocate for the protection and safeguarding of our users' data in our interactions with our customer we never share any information regarding our customers’ personal data. Not even our writers have access to the personal information of our clients. Furthermore, all our staff, writers included, sign an agreement which requires them to adhere to a strict confidentiality protocol. We are here round-the-clock to serve your needs. After placing an order with us, we will give you updates on the progress of your assignment. We always facilitate a dependable communication avenue between the customer and his/her writer so that the two can share their concerns. Very Professional Custom Writing, although this was my first time using this type of custom essay writing service, I didn't expect too much but my essay has been spot on and I have gotten great feedback from my Professor on the essay. Just what I needed!! Thank you so much for your essay help !! I am so pleased with the work Versatile writers have been doing for me, nothing but A+ on my assignments I have even referred this service to my other friends. This is a must use essay writing service always on time with reasonable prices and discount. They write my essay professionally each time, I highly recommend. Without Versatile writers, I would have never been able to accomplish my work. I was working a lot of hours, my hubby got sick etc. Versatile writers made it possible and I didn't stress at all, they did write my essay for me from scratch and all work was plagiarism free. I thank you for this and the icing on the cake, I got an A in all classes. Each time I ask them to write my paper I am relaxed. We will complete every task that you place an order for. Start right now, placing your order. © 2018 VersatileWriters All rights reserved.